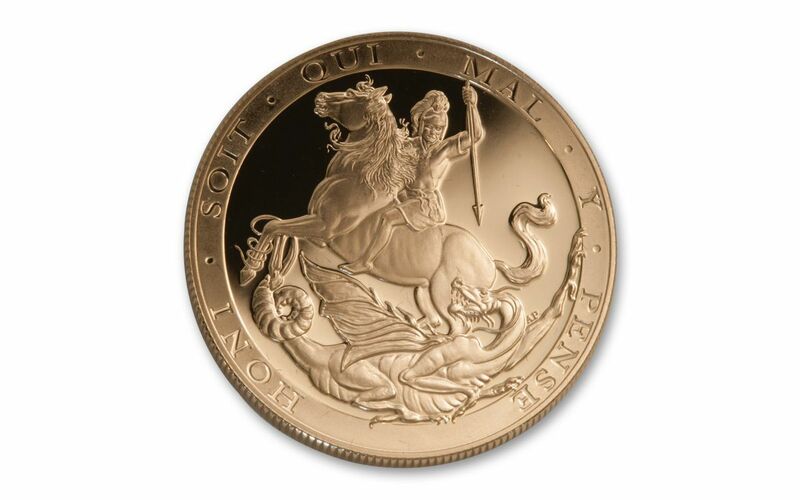 200 years ago, Benedetto Pistrucci created the now-iconic "St. George and the Dragon" that graces the reverse of the British Sovereign. That same artistic talent has continued to run in the Pistrucci family for generations. Now, for the Sovereign’s 200th anniversary, Benedetto Pistrucci’s great-great-great-grandniece Angela Benita Pistrucci has designed a new interpretation of her ancestor’s original classic. Angela’s design presents the ancient story in a more contemporary style, while still capturing the essence of the 200-year-old original. 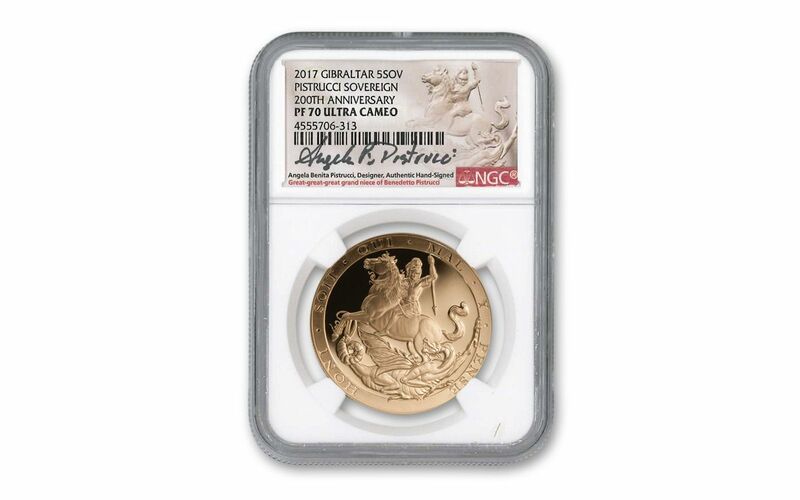 This fantastic new Pistrucci Quintuple Sovereign Proof has been struck in 91.67% pure gold and comes graded perfect Proof-70 Ultra Cameo (PF70 UC) by Numismatic Guaranty Corporation (NGC), sealed with a special label that has been hand-signed by Angela Benita Pistrucci. 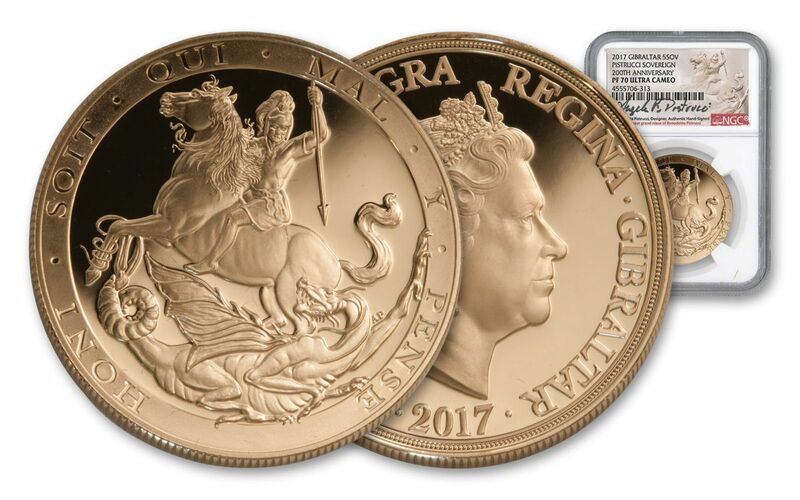 Your proof will also arrive with its original mint packaging along with a full-color, limited-edition book detailing the history of the design, a Benedetto Pistrucci autobiography with a foreword by Angela and a personal letter from the new coin’s designer. 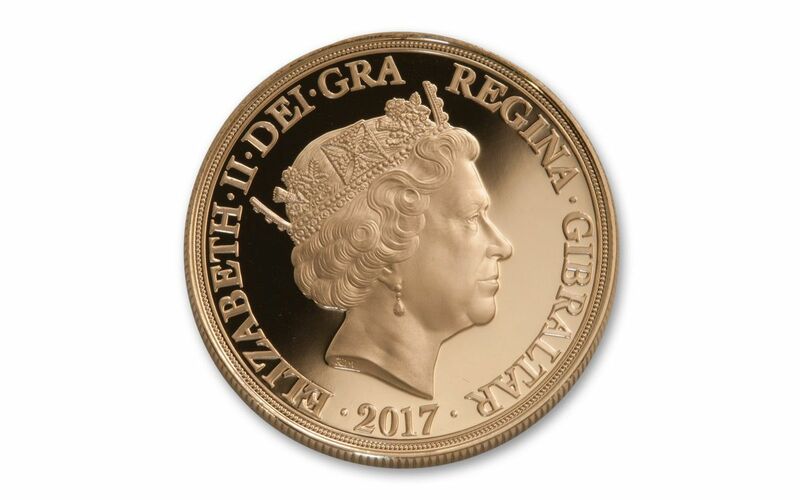 Celebrate the history of the Sovereign and order yours today!